Gather up your girlfriends and save the date! 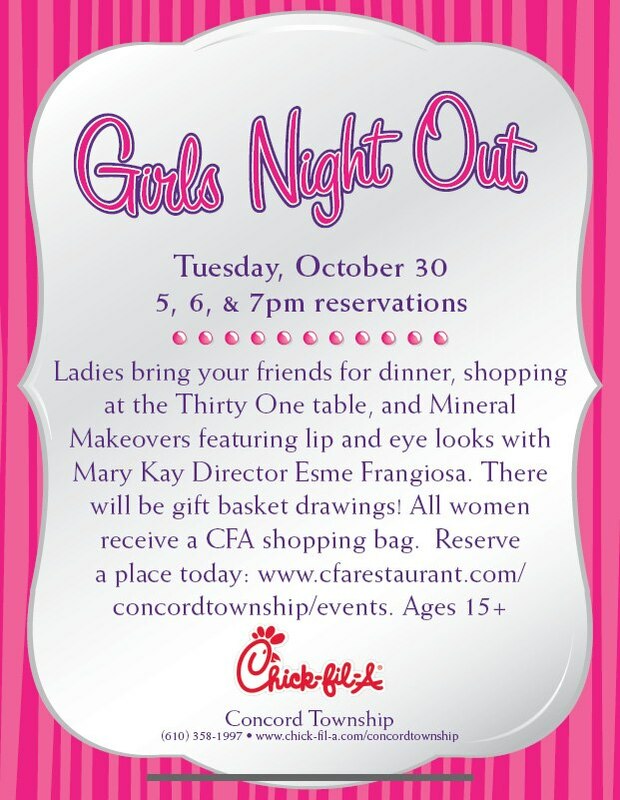 Enjoy a night of Thirty-one Gifts shopping, Make-overs and Giveaways at Chick-fil-A Concord Township on Tuesday, October 30th. Go online HERE to make your reservation. from 5pm, 6pm, or 7pm.